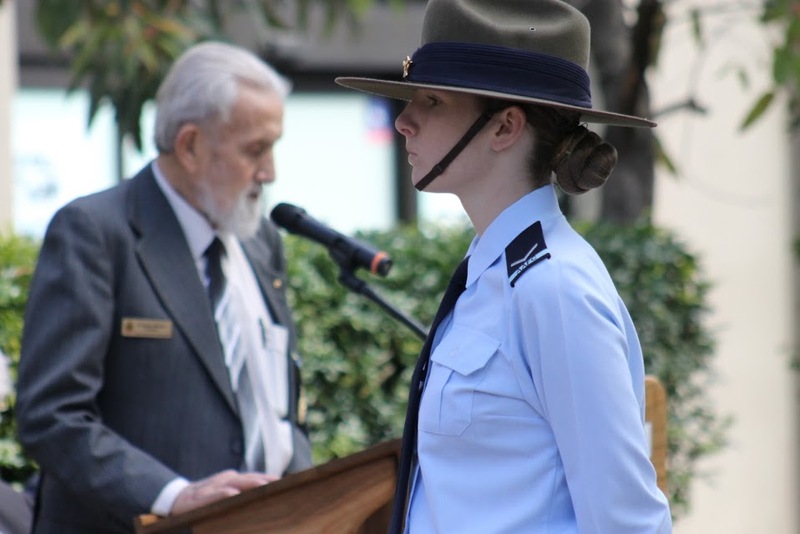 Catafalque Party VP Day 2015: 305 Squadron - Cadet Courtney Campbell - AJG pic. VP Day commemorations occurred at cenotaphs and Shrines of Remembrance around the Australia yesterday, and will take place in the United Kingdom and the United States of America today, marking the moment on August 15, 1945 when Japan's Emperor Hirohito announced to his people via radio his nation would surrender to the Allies. 2015's VP Day marks the 70th Anniversary of the end of World War II. A Commemorative Service was held at Avalon Beach Cenotaph during which Pittwater’s MP, the Hon. Robert Stokes gave the 2015 VP Day Commemorative Address. Mr. Stokes asked those who attended to remember how our community was feeling on this day 70 years ago, bringing an immediacy to the Service that resounded with those who had gathered to pay their respects. Pittwater's Jason Waterhouse and Lisa Darmanin have been topping the Australian rankings over the past few events in the Nacra 17 and are representing Australia at the Rio Test Event as a consequence. 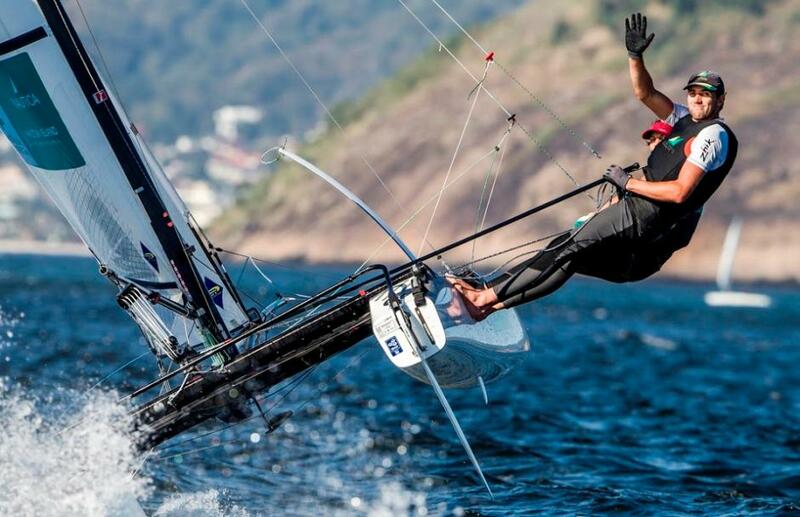 The pair most recently won the silver medal at the Nacra 17 World Championships at the beginning of July and took home the win at the ISAF Sailing World Cup in Weymouth and Portland in June. They are currently ranked No.1 on the ISAF World rankings and qualified the boat class, which will premier in 2016, by winning bronze at the 2014 ISAF Sailing World Championships in Santander. General Manager HammondAtHome, Sally Yule, Deputy Secretary of Ageing Disabilities and Home Care, Family and Community Services, Jim Longley and HammondCare Chief Executive Dr Stephen Judd. Photo supplied. 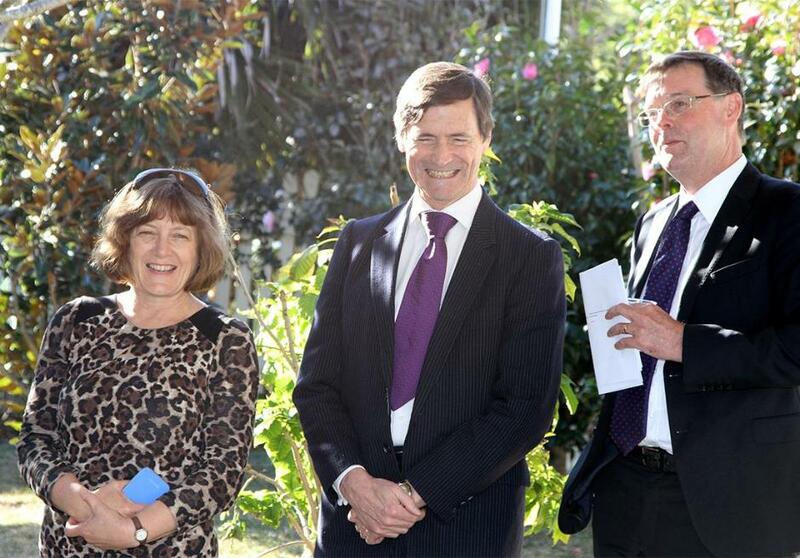 A dementia specific, day centre for the Manly community, to be run by independent Christian charity, HammondCare, was unveiled on GFriday August 14th, by Deputy Secretary of Ageing, Disability and Home Care (ADHC), NSW Department of Family and Community Services (FACS), Jim Longley. Currawong State Park - picture by A J Guesdon. 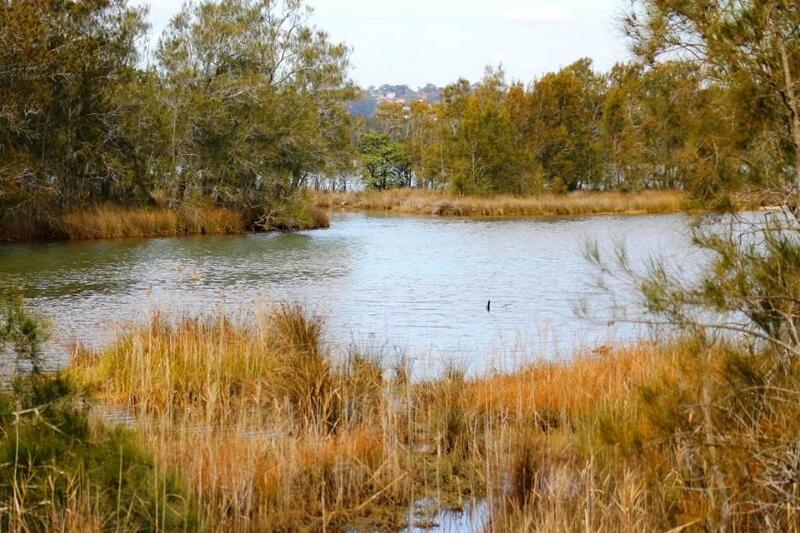 Member for Pittwater Rob Stokes announced over $80,000 in NSW Government grants to support the newly established Narrabeen Lagoon and Currawong State Parks on Thursday August 13th. Narrabeen Lagoon State Park was established in April last year and covers over 470 hectares of the lagoon and its natural surrounds. 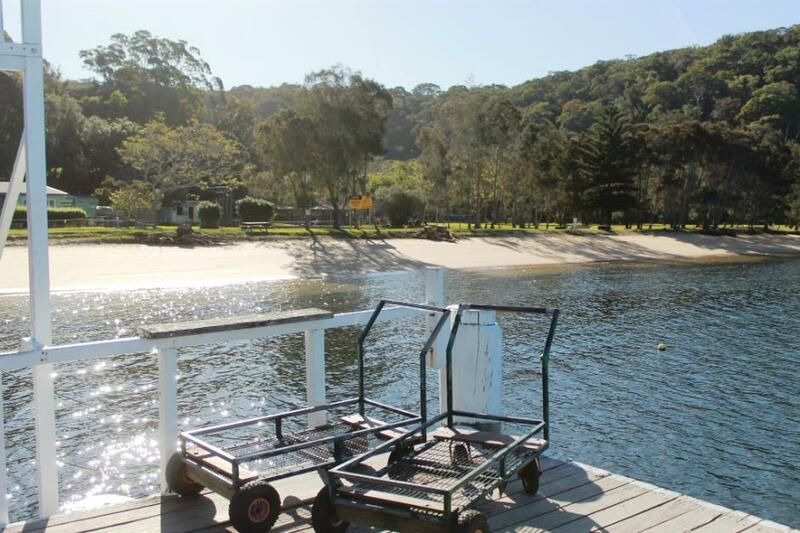 Currawong State Park was established in March this year and has formally safeguarded this renowned heritage listed area on Pittwater’s western foreshore. 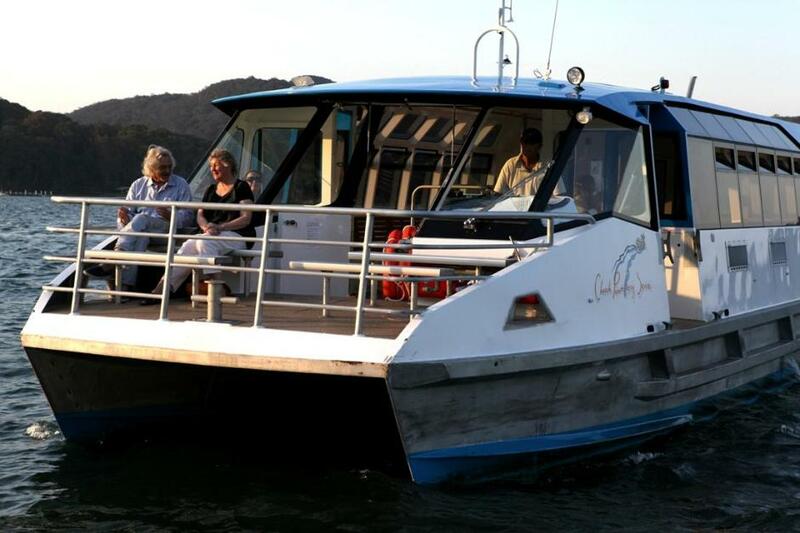 Funding has been secured under the NSW Government’s Public Reserves Management Fund to support the maintenance and improvement of both key areas. Narrabeen Lagoon State Park - picture by A J Guesdon.